Moog Music will present DEVO with a very special synthesizer, details of which will be revealed in the coming weeks. Past recipients of the previously titled Moog Award include Keith Emerson, Herb Deutsch, Gershon Kingsley, Jan Hammer and Bernie Worrell. 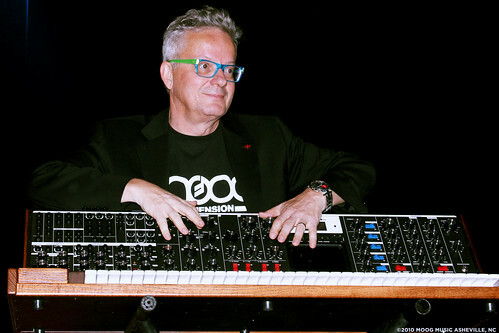 Update: Here is a photo from Moog's flickr page showing Mark Mothersbaugh recieving the synth. The synth picture, the Moog Voyager XL is also now available for purchase.